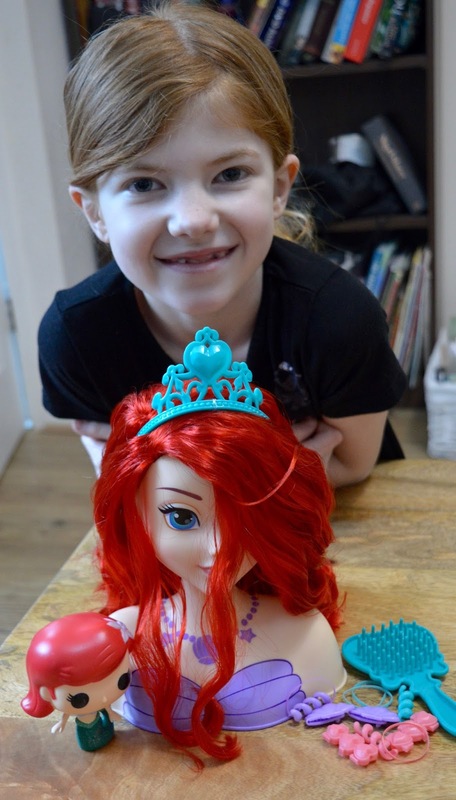 Like many children (and grown-ups actually) across the country, Heidi is obsessed with mermaids. 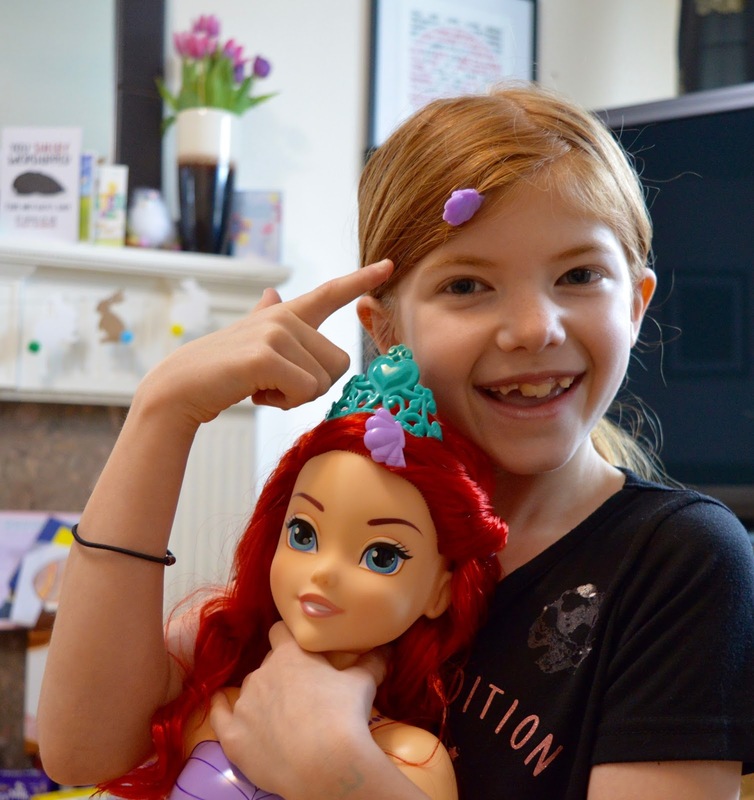 I've written about Heidi's love of The Little Mermaid before and if anything, her love for Ariel has grown after she met her idol at Disney On Ice last year. Heidi pretty much lives in her mermaid tail blanket and has stacked up a wide selection of Ariel toys and clothing over the years. 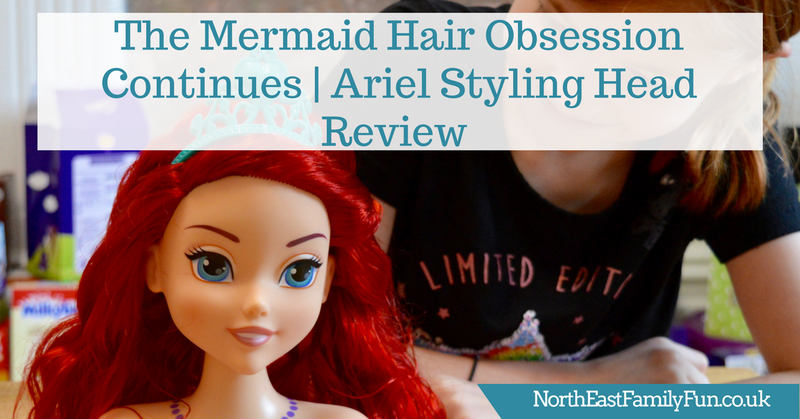 In celebration of #StylingHeadMonth, Heidi was sent the new deluxe Ariel Styling Head to review. 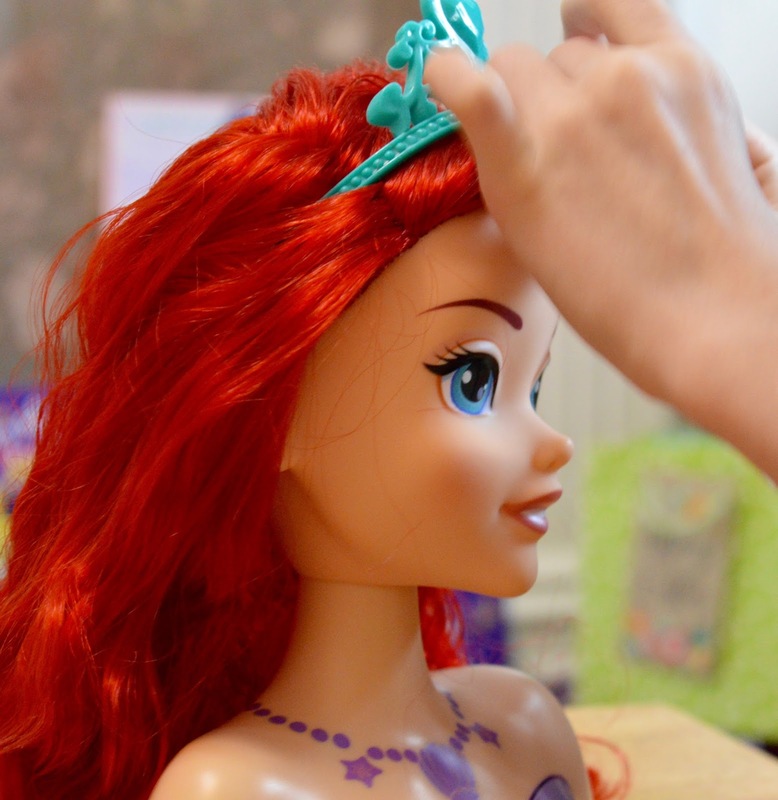 The doll comes with 14 accessories that you can use on Ariel or yourself. 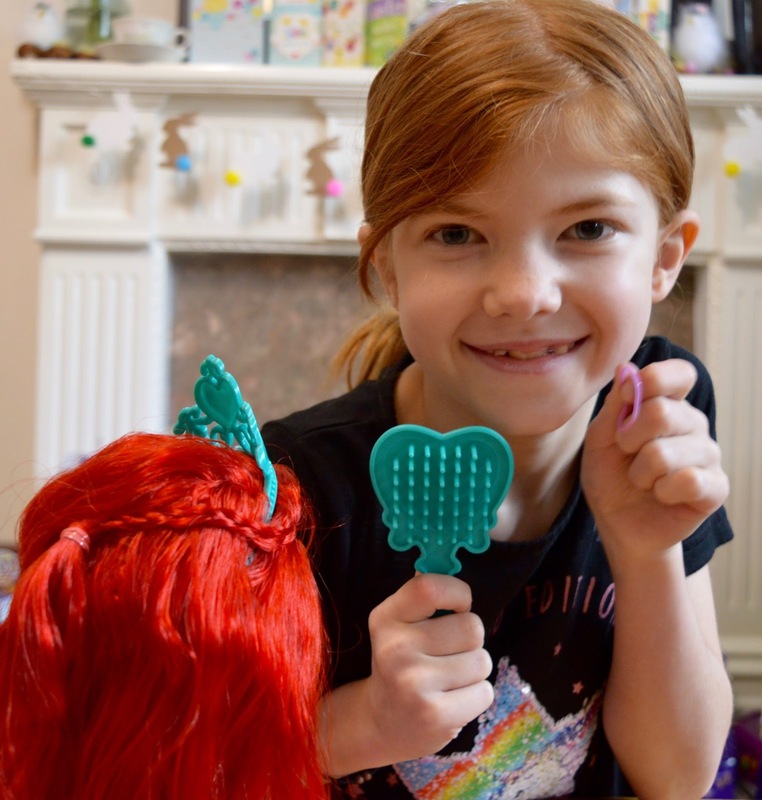 This month is #StylingHeadMonth and if your children enjoy getting creative and playing with toys like this, I'd recommend joining in the UKmums.tv Twitter Frenzy on 13 April between 1-2pm where you'll find lots of advice, inspiration and could win some prizes too. Follow UKmums.tv on Twitter here and put 13 April, 1pm in your calendar now. First of all, I swear toys are getting more difficult to unpack these days. Trying to unbox the styling doll was more difficult than logging into my internet banking. 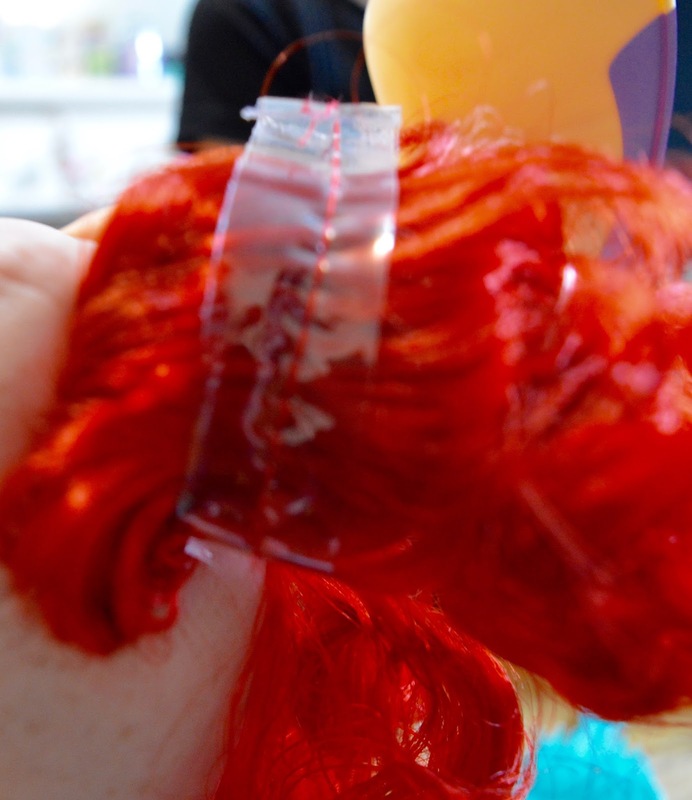 Some of the plastic packaging was actually sewn into Ariel's hair! I mean is there any need? Once it was unpacked, we were happy with the products inside and Heidi loved that she could use them on her own hair as well as Ariels. 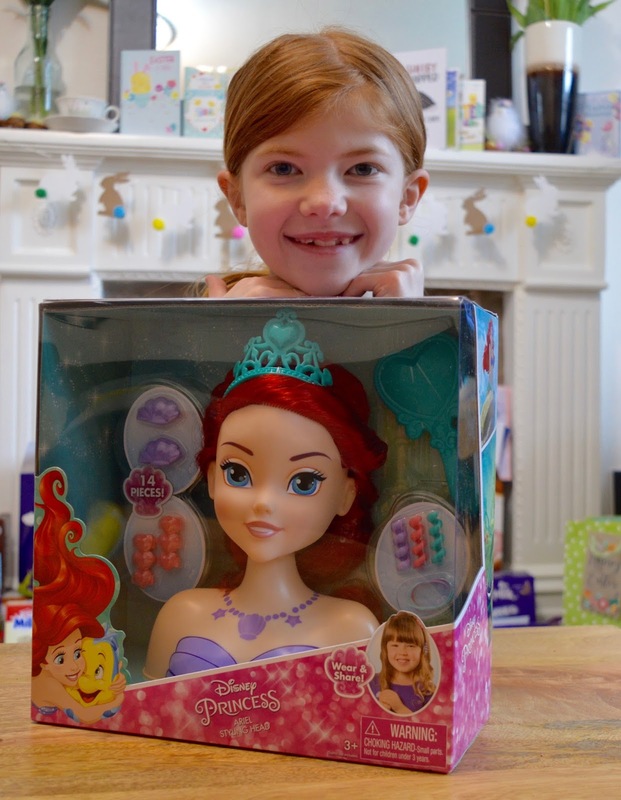 As a side note, Heidi is a fellow redhead and finding toys with red hair can be difficult at times and I always appreciate that The Little Mermaid is inclusive like this. 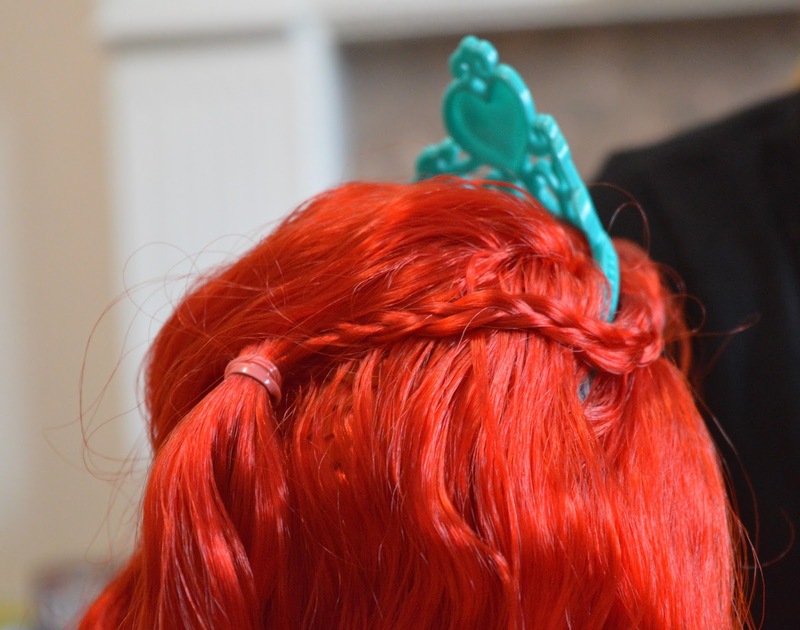 Next Heidi tried Mermaid waves full of volume using the accessories provided. Again, it took a little bit of practice as the accessories kept falling out but we got there (kind of). 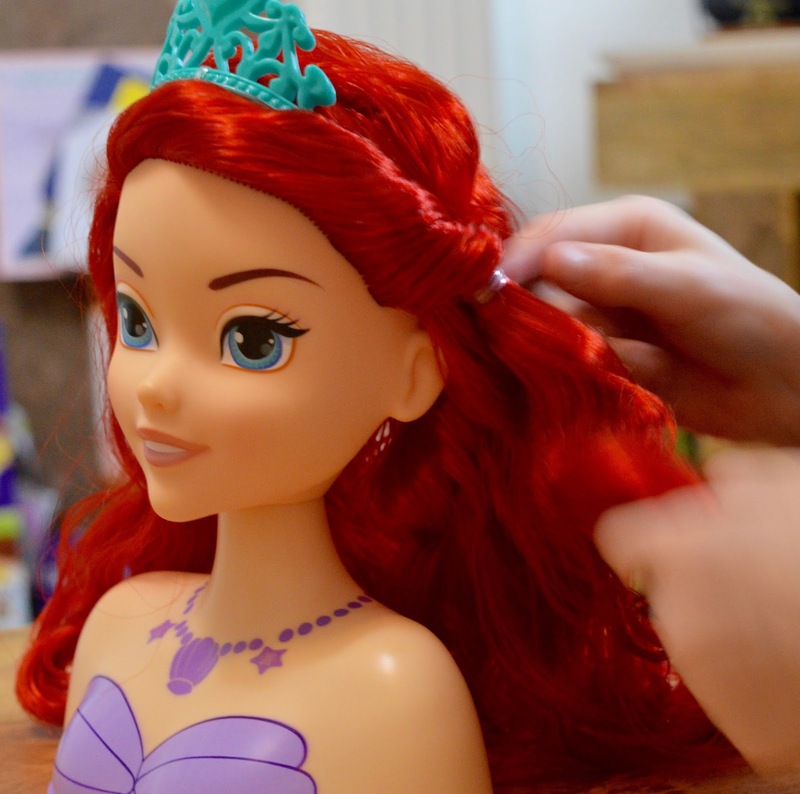 If your child is obsessed with Mermaid Hair, I would recommend this toy. 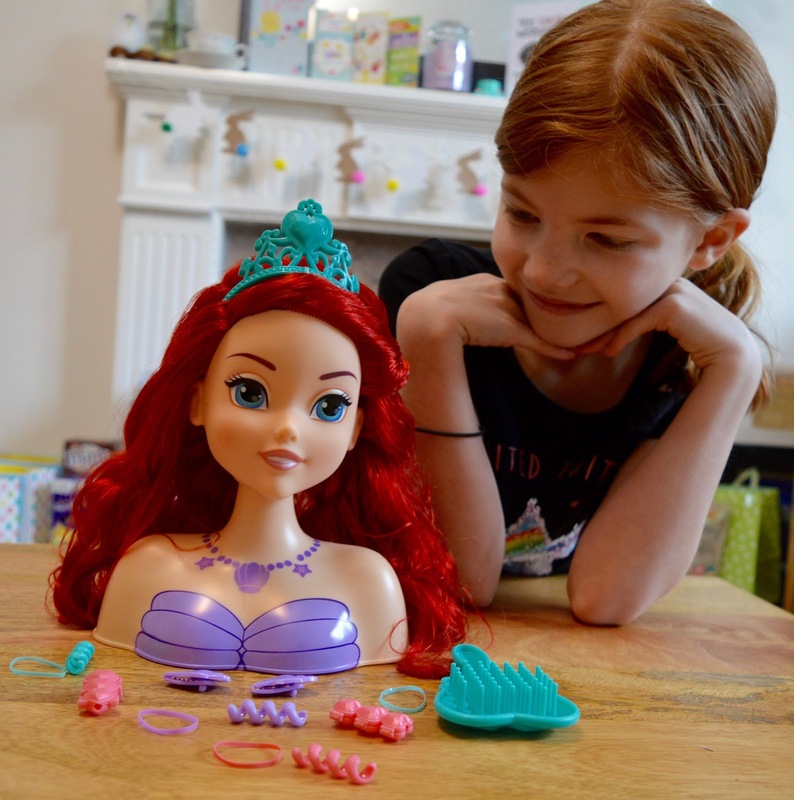 I'd probably head to Claire's or Primark and buy some additional hair accessories (meant for small humans) to get the most out of it though as the products in the box are a little flimsy. 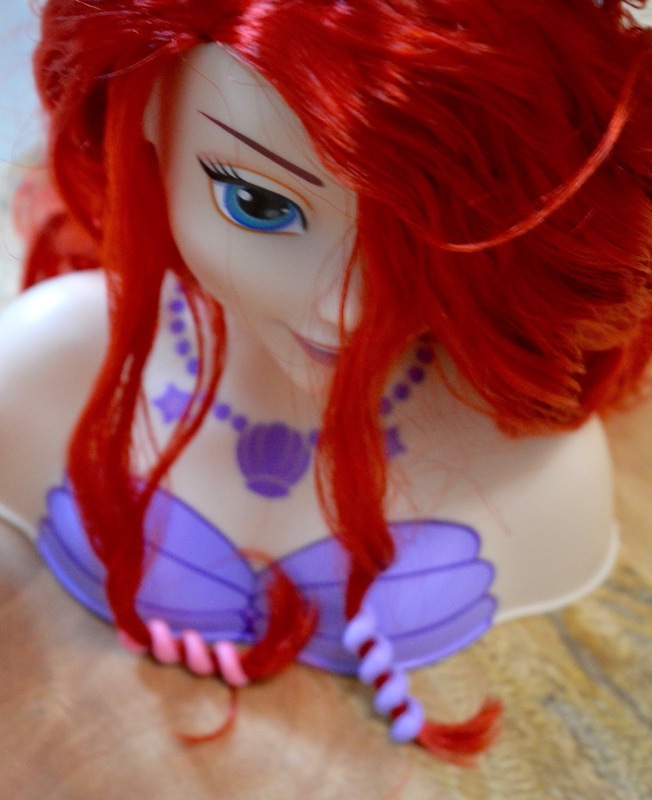 Heidi loves her Ariel styling doll head and that's the main thing. 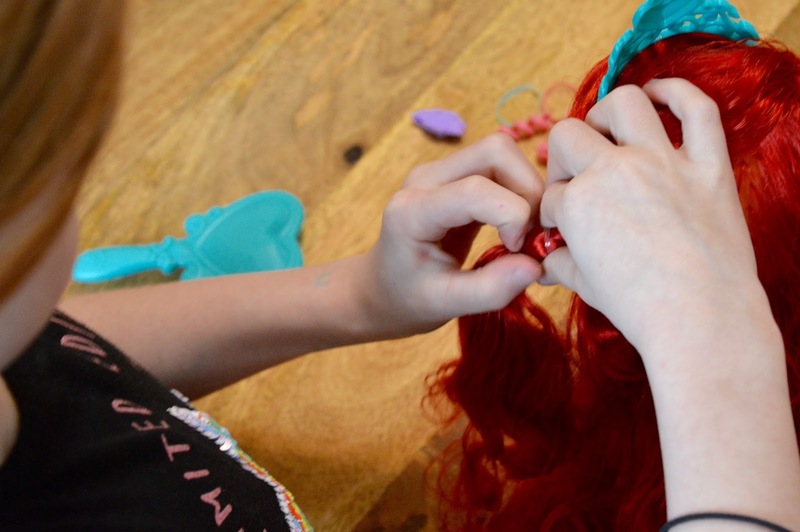 Her new thing is to watch Mermaid Hair tutorials on YouTube, perfect them on her doll and then try them on herself. It's the perfect way to stay entertained during the washout Easter holidays. Due to small parts, the doll is aimed at children aged 3+. 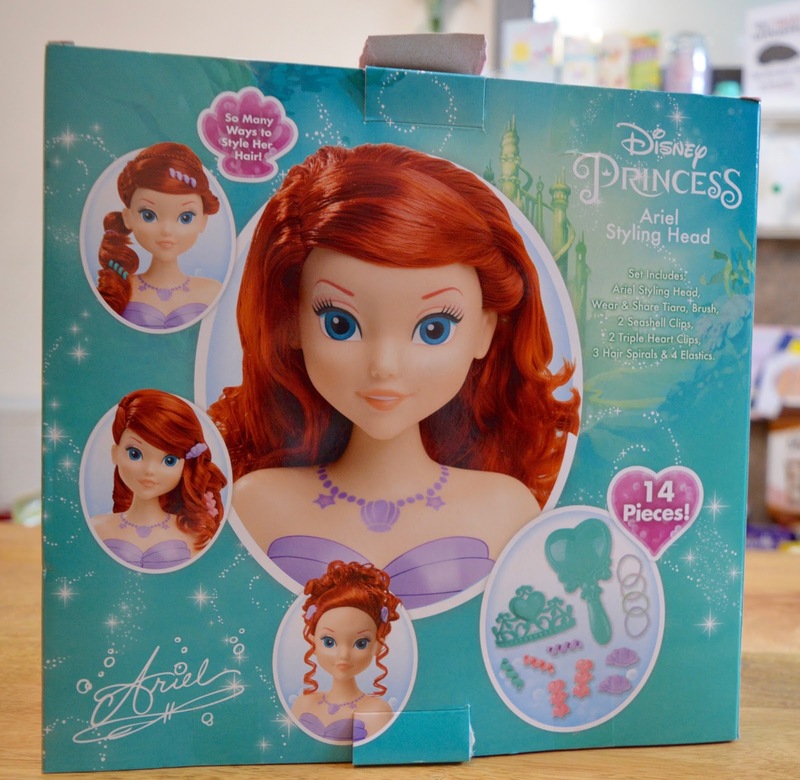 You can buy the new Ariel Styling Head on Amazon here. Don't forget to follow UKmums.tv on Twitter here and join in with their #StylingHeadMonth Twitter Frenzy on 13 April at 1pm to pick up tips and win prizes.